Burnination is about to ravage the battlefields of 40K, as the Sisters of Battle descend with reworked rules and a Beta Codex. Some of these changes are big–come take a look. Pretty much exactly what it says on the tin. 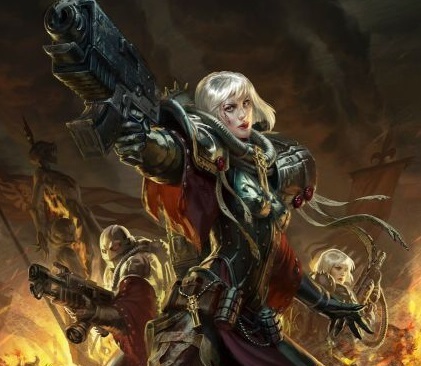 Today we’ve got a look at how Sisters of Battle have changed, how they’ve stayed the same, and what you can expect out of their new codex. 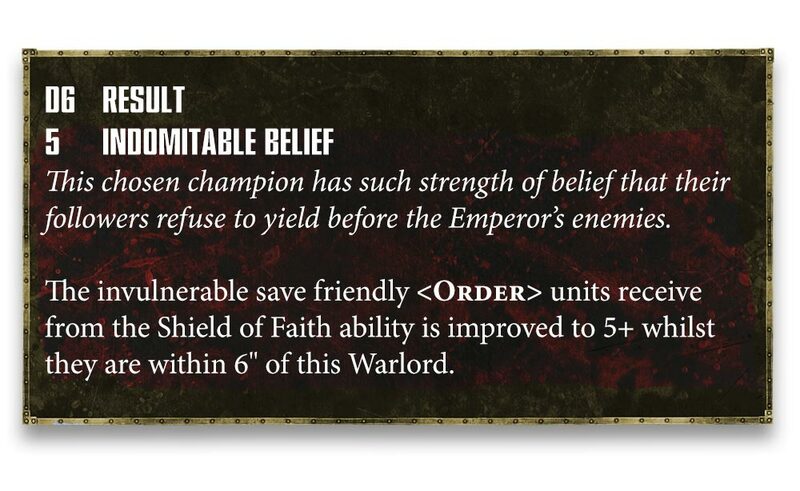 From the rules preview we have today, it’s pretty expansive: Acts of Faith have been reworked, some old familiar units have been reworked, and all around it looks like they’ve been upgraded. Let’s take a look. Perhaps fittingly, one of the biggest changes is a rework of the Sisters’ trademark Acts of Faith. Now it seems, they are powers you can cast. 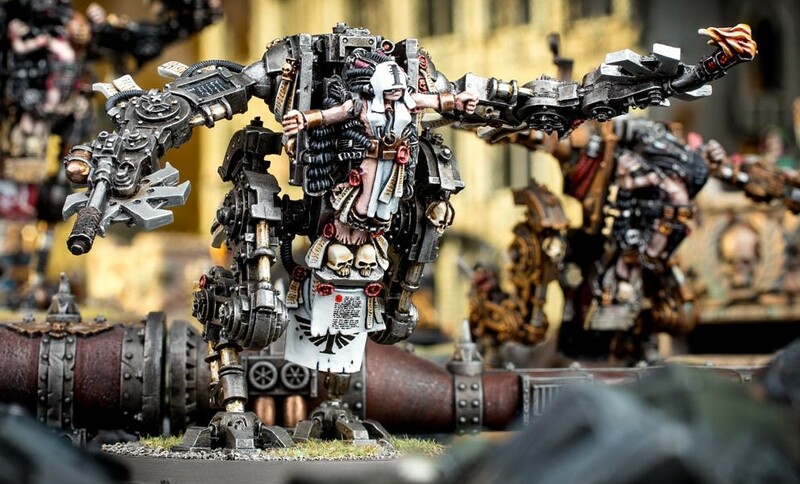 The Sisters of Battle are renowned for the sheer force of their faith, their belief so strong that it seems to allow them to overcome their physical limitations and perform incredible feats of strength. 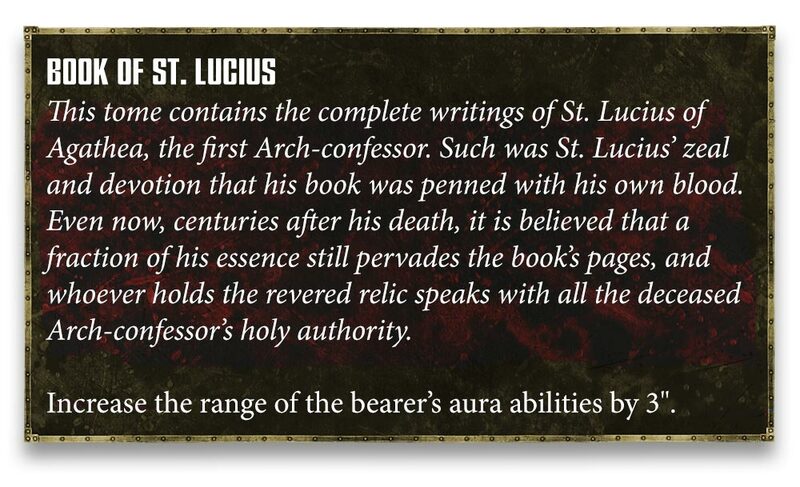 In the new codex, Acts of Faith are powerful abilities. To cast one, you spend a Faith Point, then see if you can roll over the act’s Devotion Value. Now GW doesn’t say what you’re rolling; we only have a single target number–5–to work off of. And that’s mentioned in a pretty spicy power, The Passion. In order to use it, you’ll need to roll a 5 or above, and then you’ll get to spend the Fight Phase killing everything that your unit has come into contact with. Now GW hasn’t confirmed it anywhere officially, but it sounds like you’ll roll a single d6. But you’ll have ways to influence the roll (see below) and you generate a ton of Faith points based on the number of models in your force. 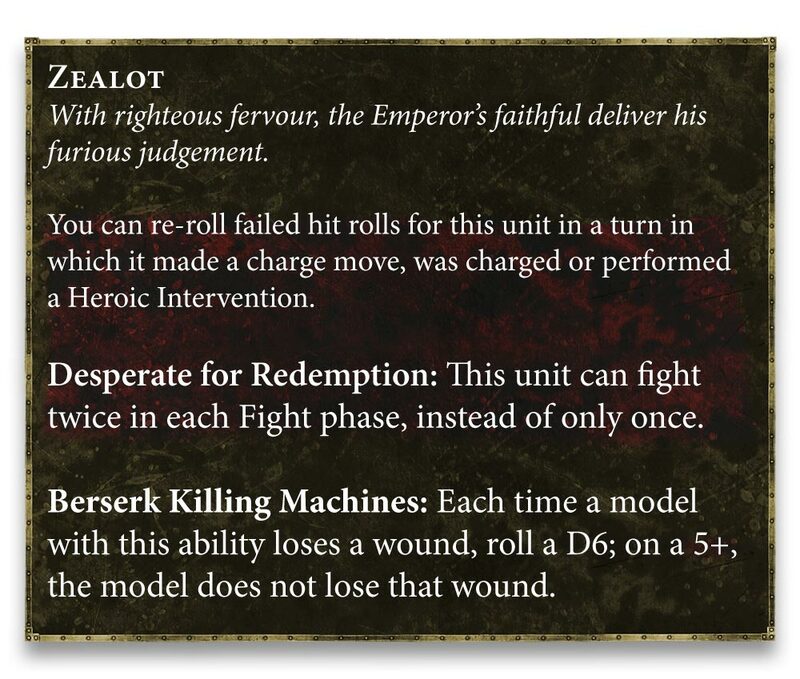 You’ll be able to influence this roll in a number of ways, particularly by using a Simulacrum Imperialis and Dialogus. Unlike in the previous system, Acts of Faith are designed to scale up based on army size, with you getting an additional Faith Point for every ten models with the Acts of Faith rule in your force. 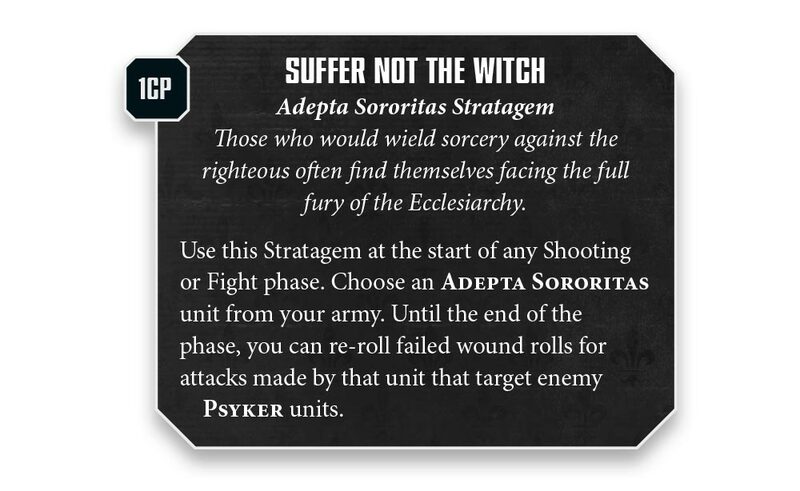 This makes the Sisters of Battle incredibly flexible, with Acts of Faith, combined with Stratagems, allowing them to adjust their tactics on the fly. Stoic Endurance plays real nice with the Sisters’ native 6+ Invulnerable save, while the Ebon Chalice get to add 1 to their attempts to pull of Acts of Faith. Again, sounding like we’re rolling 1d6 and trying to beat a target number. These are all pretty strong. 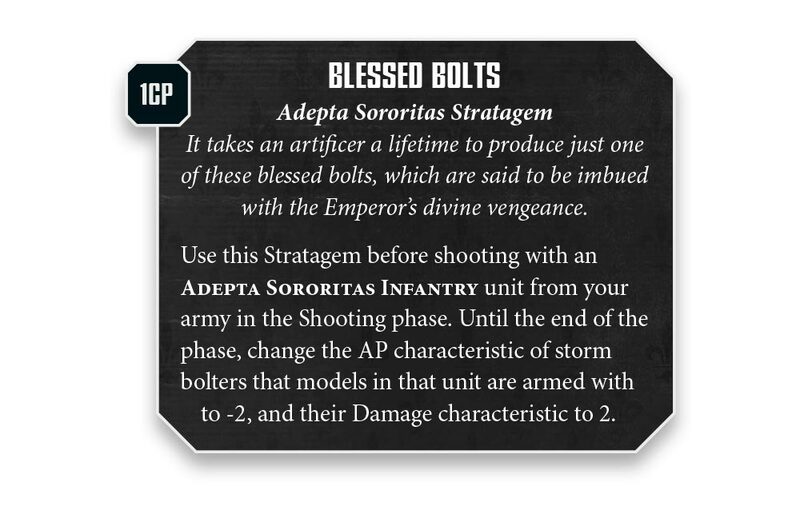 Blessed Bolts makes it seem like you’ll be seeing more Storm Bolters, so your special weapon squads will become grim bloody reapers scything through enemy troops (especially Primaris and other heavy infantry). 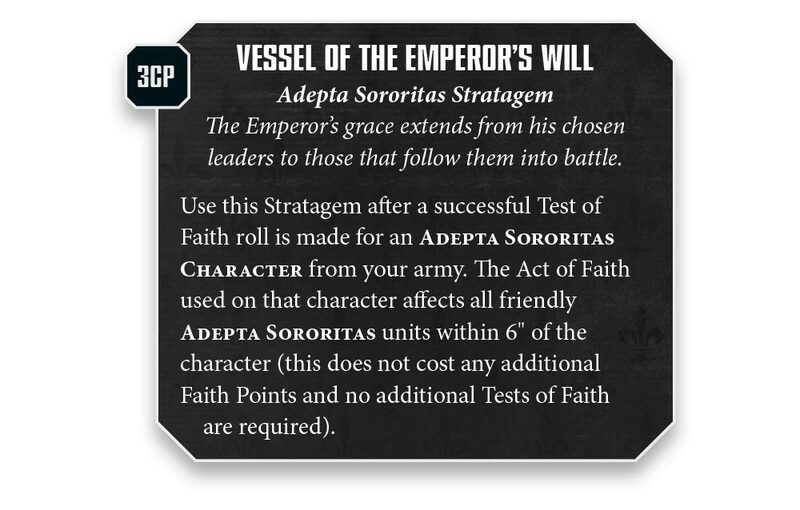 And Vessel of the Emperor’s Will could be especially strong if you’re positioned carefully: affected units just need to be ‘within’ the 6″ aura, not ‘wholly within’ so you can daisy chain all kinds of shenanigans together. These two play remarkably well together. Combined that gives you a 9″ bubble of 5+ invulnerable saves. And you’ll want those to keep your Penitent Engines alive so they can kill everything they can get their hands on. And how will they do this? By fighting twice in the Fight Phase no matter what, and gaining a 5+ Feel No Pain that plays extremely well with the 5+ Invulnerable Save. And the important thing to remember is this is all Beta stuff–GW will be looking to hear your Feedback to help balance and tweak the Sisters of Battle Codex when it finally comes out for full release. Let us know what you think of these rules? Are Sisters where they need to be, or do they need a little more work?